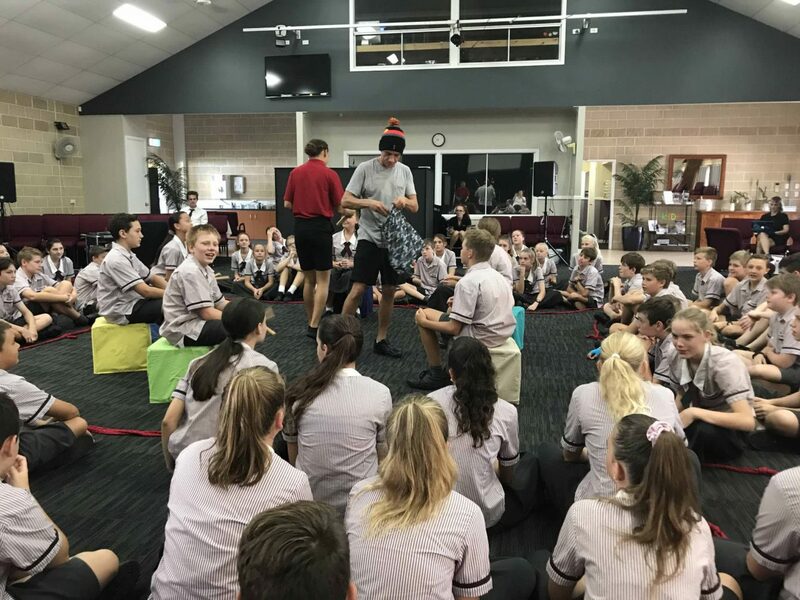 So much has been happening for the Year 7s in the last few weeks. 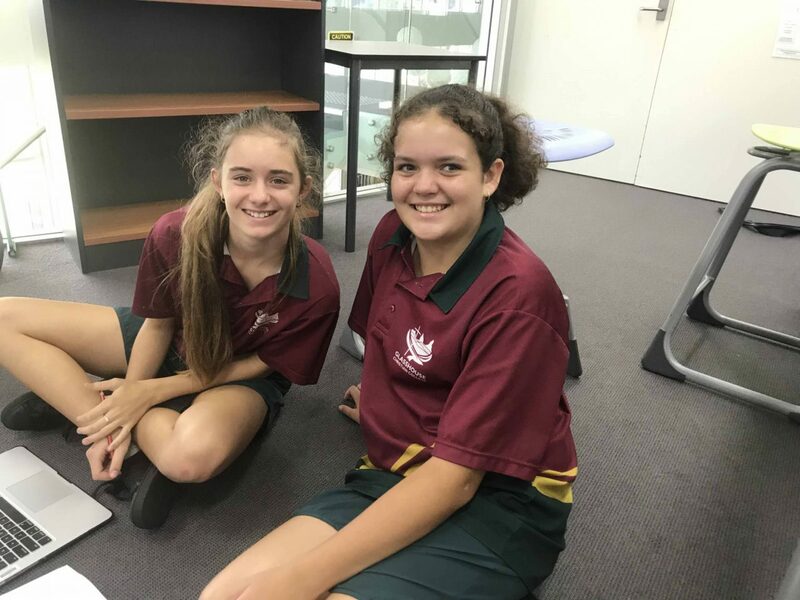 Finding out about each other’s stories is important in knowing who we are and Year 7 is focusing on the power of a person’s story this term as they work towards producing their main multi-modal assignment for FUSE, entitled ‘Who I am’. 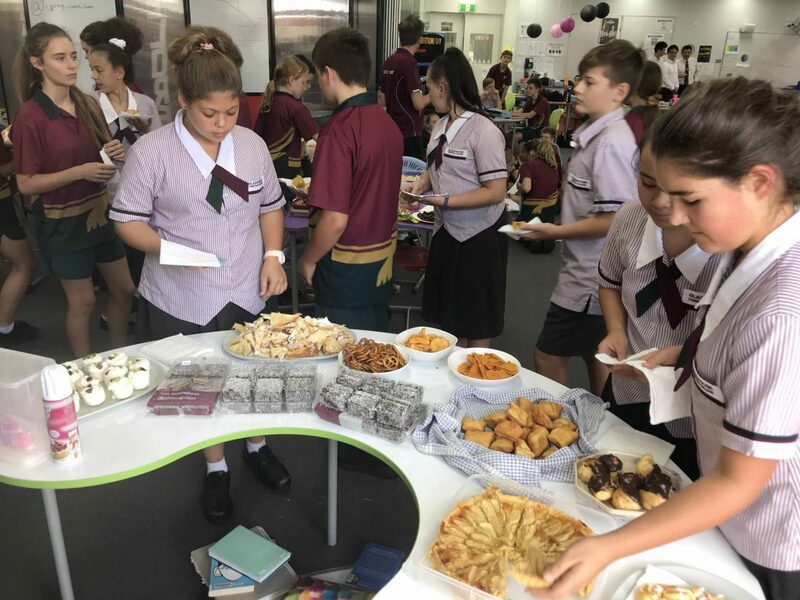 Harmony Day on 21 March was the perfect time to acknowledge the multicultural backgrounds of all the students in Year 7. 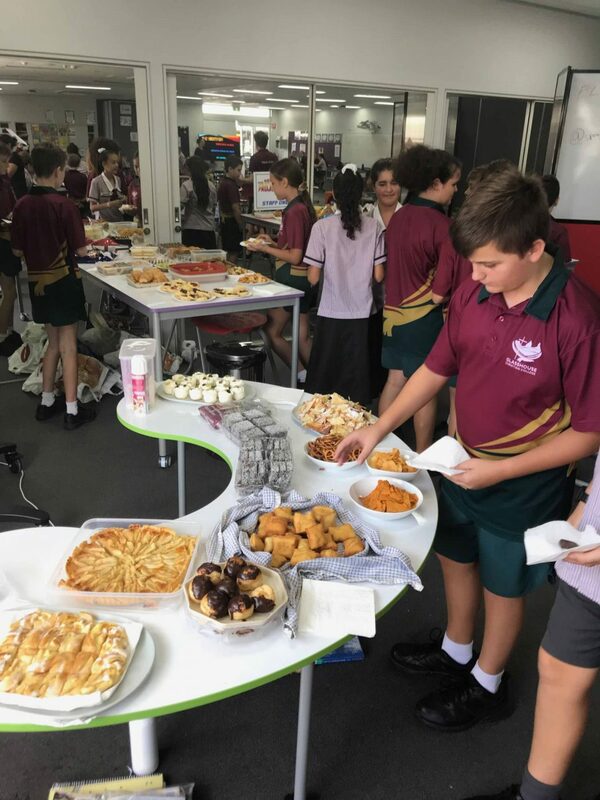 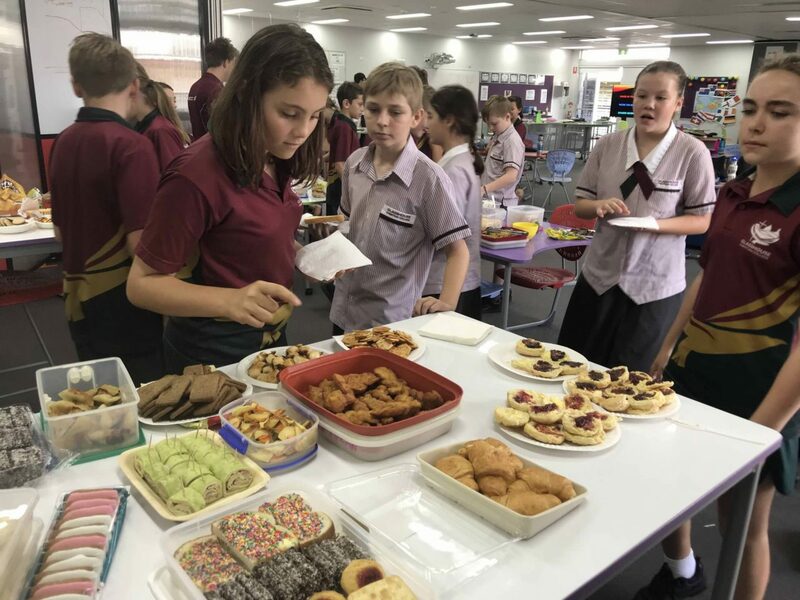 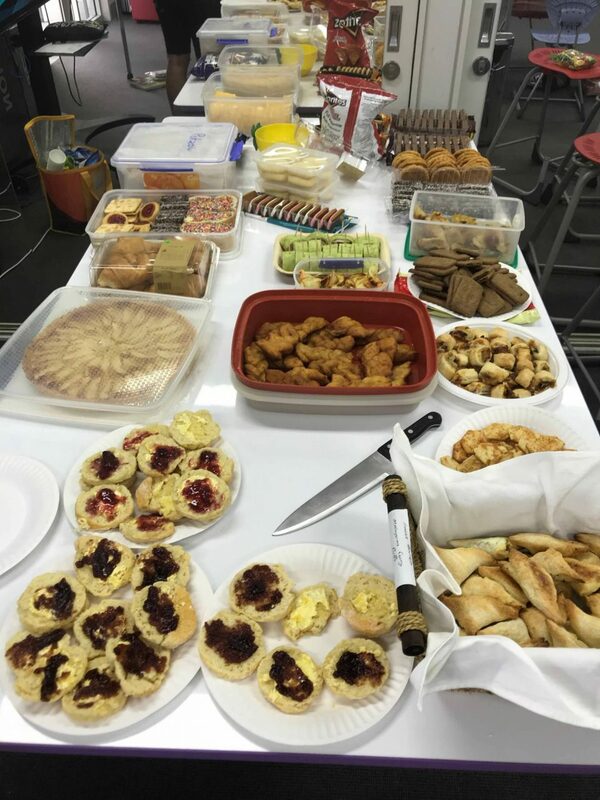 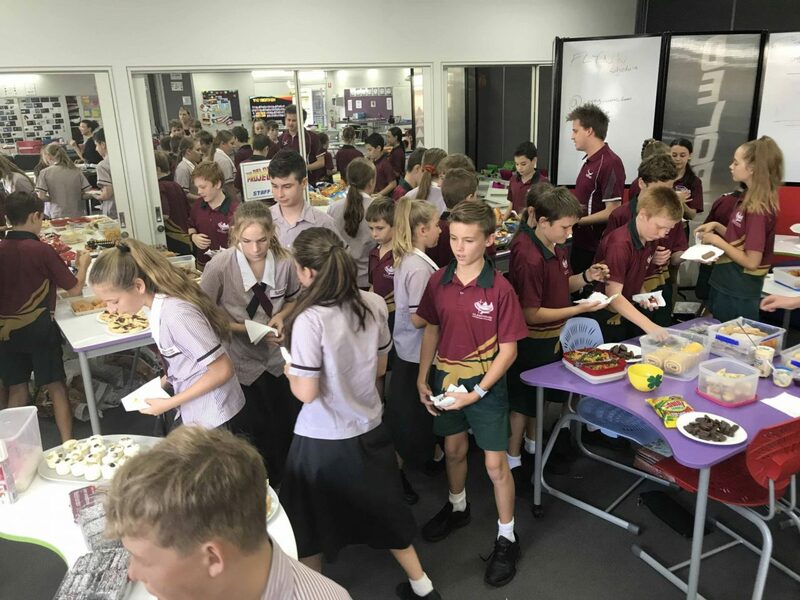 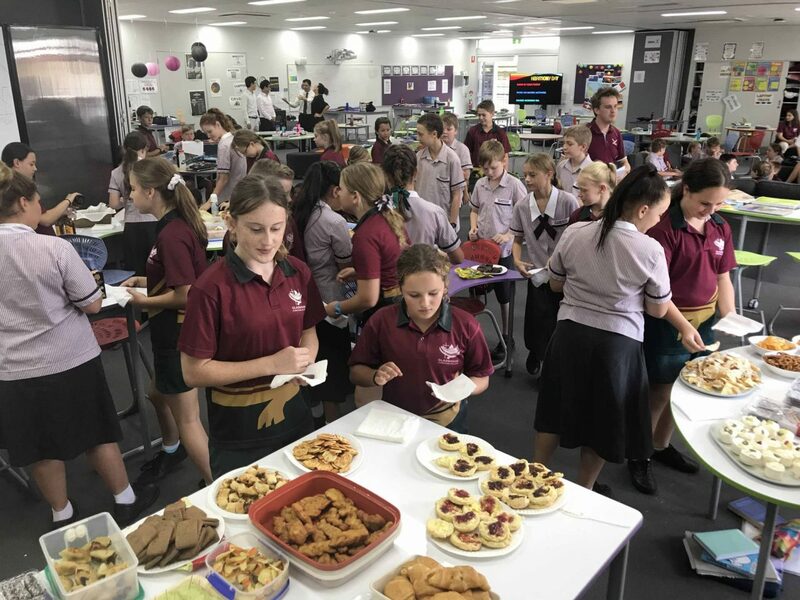 A delicious morning tea with a surprisingly vast array of tempting foods representing the various cultures of the students was shared to celebrate the day. 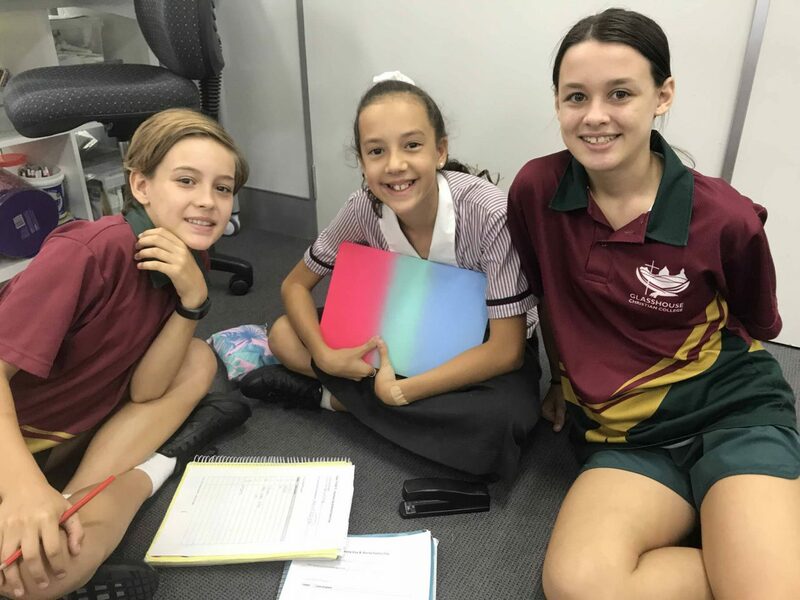 As it was also World Poetry Day, the students had fun writing poetry in their cultural groups. 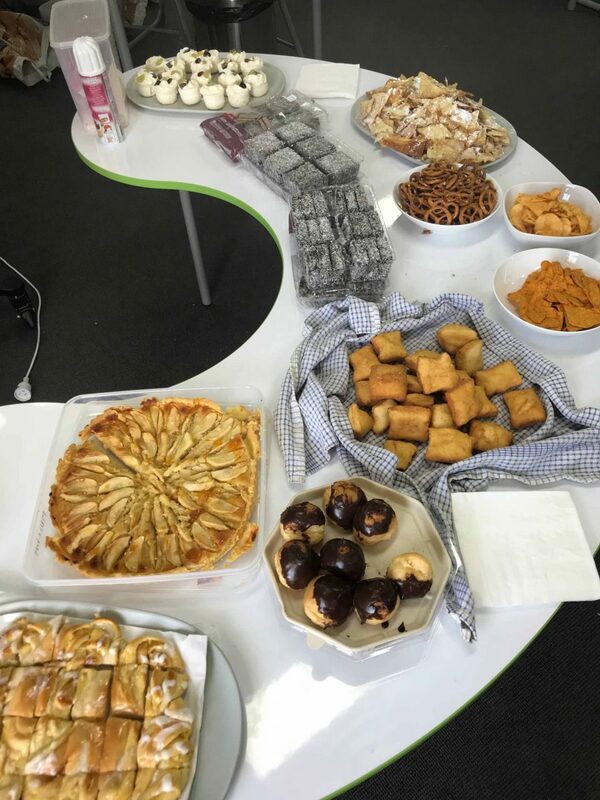 A huge thank you to all the parents and carers who supported us with providing such a spread of scrumptious food. 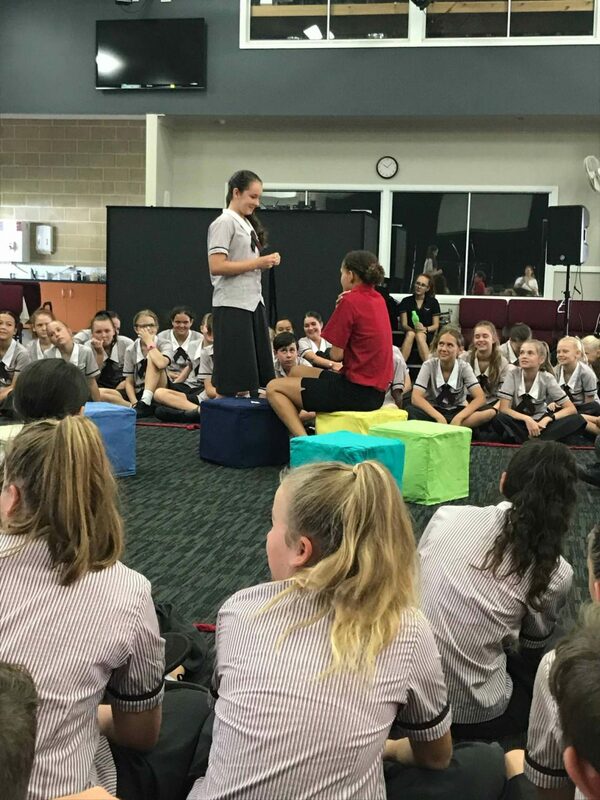 On Monday of Week 9, the Youth Touring group performed their play for us called ‘My Story, Your Story’ which engaged the students in understanding aboriginal indigenous culture generally and how stories are important for sharing experiences and for coming to understand each other better. 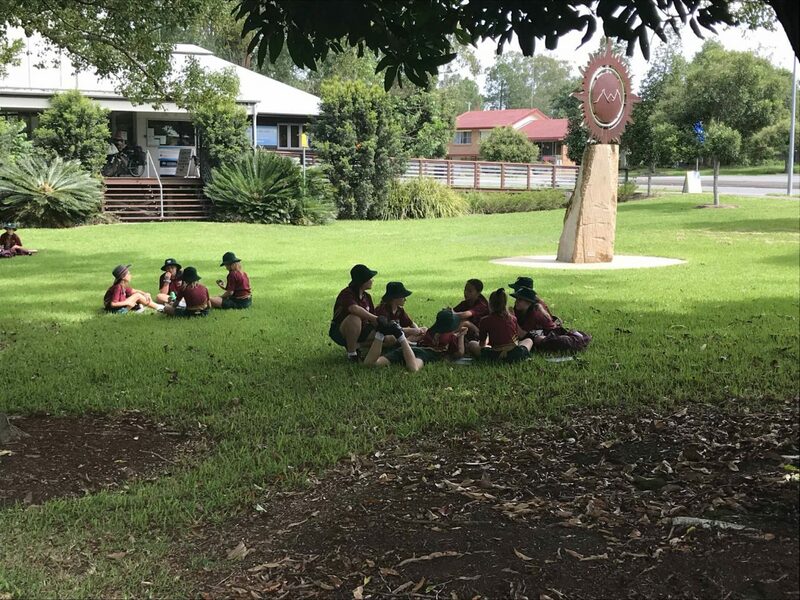 Geography skills were our focus as we headed off for the day on Tuesday of Week 9 to explore our local area and environment. 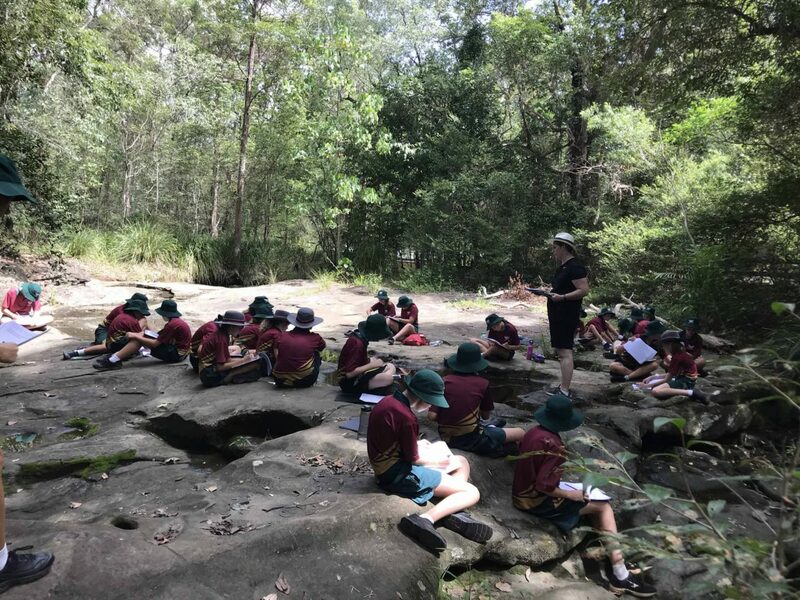 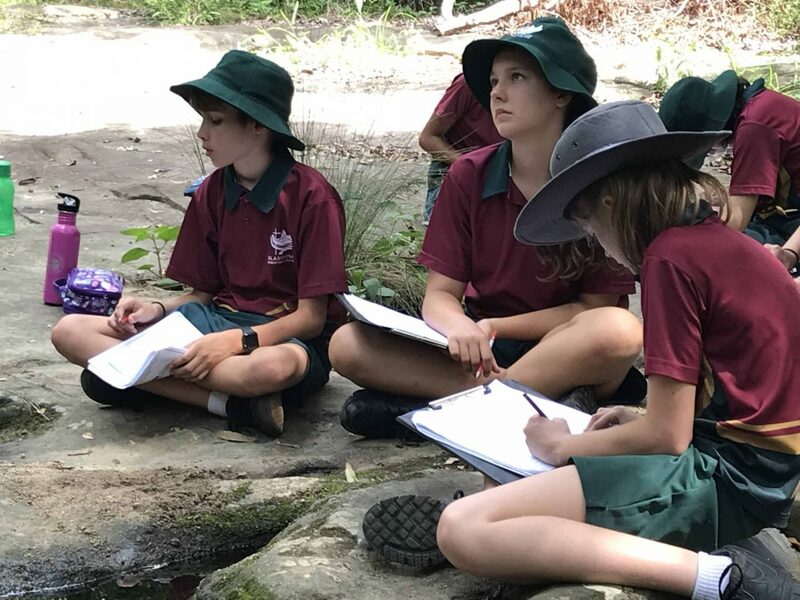 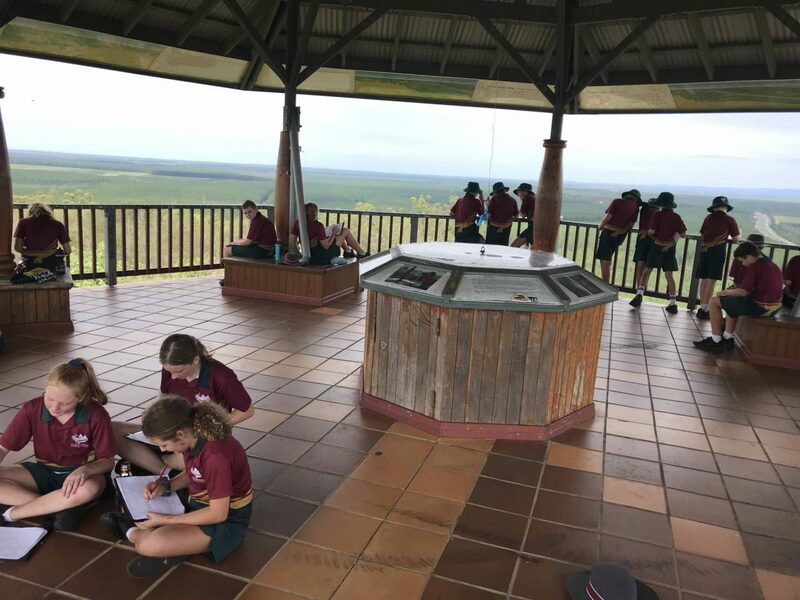 It’s always a highlight to head out of the classroom on this annual field trip where we visit three sites: the King’s farm, the significant indigenous water site on Old Gympie Road and then climb Wild Horse Mountain. 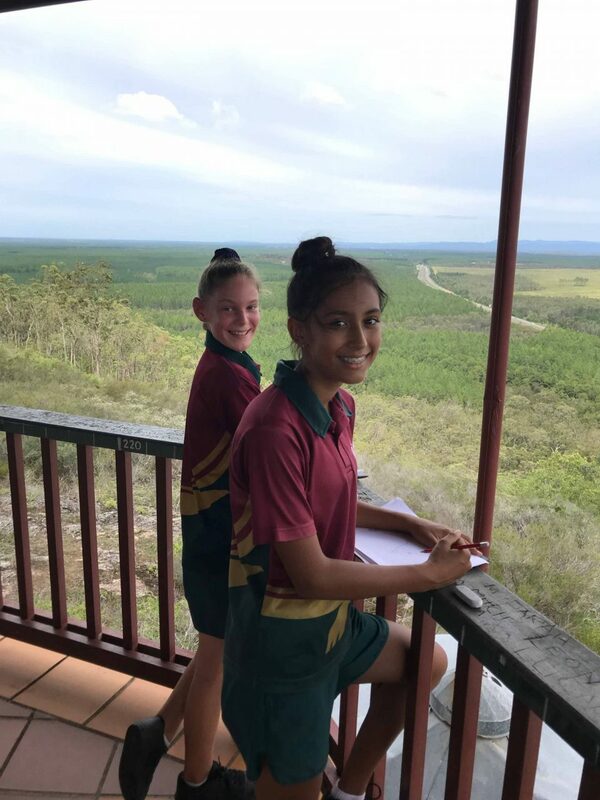 The climb always takes the novice by surprise as to just how steep it is, but there’s always some who run up, at least for the first ten metres or so, even in the heat on Tuesday! 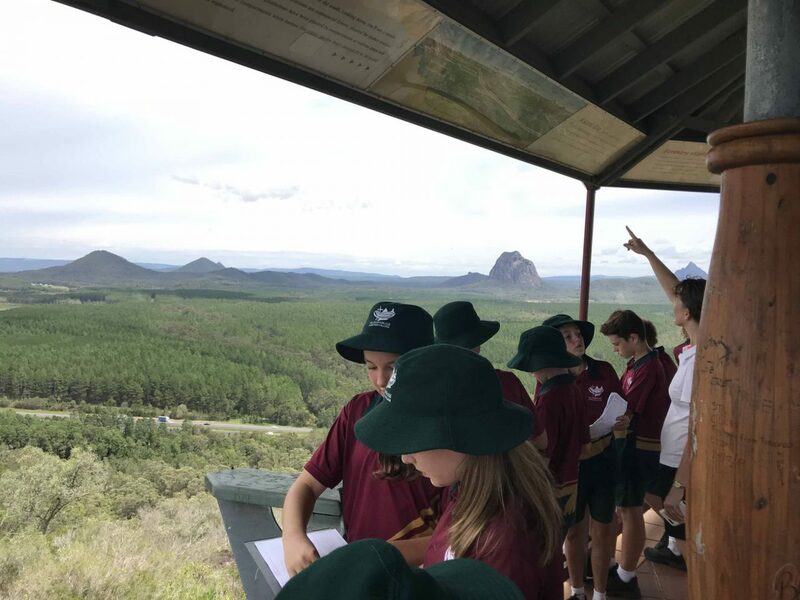 The view from the top is breath-taking over the Glasshouse Mountains and so worth the climb. 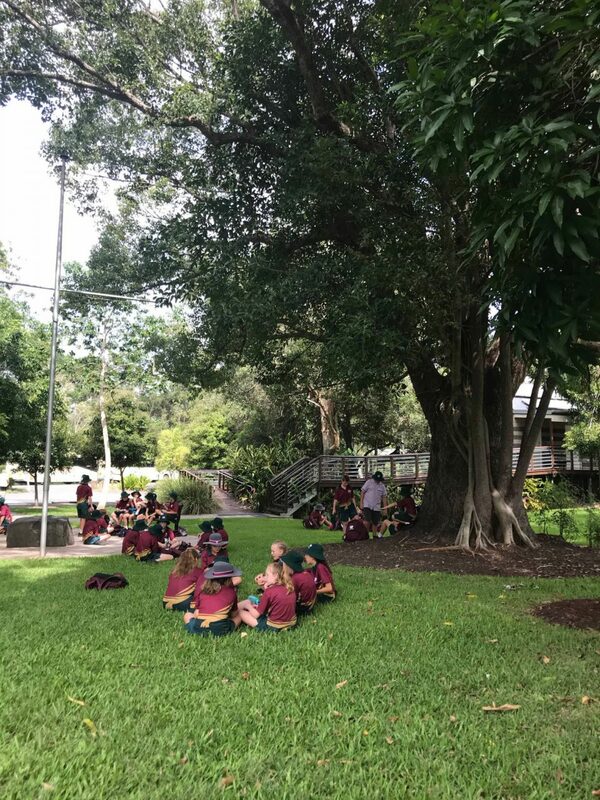 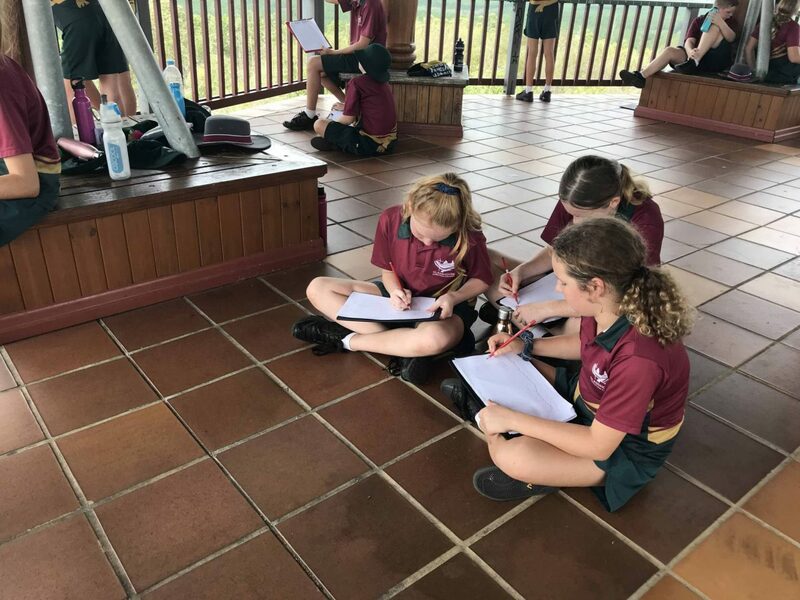 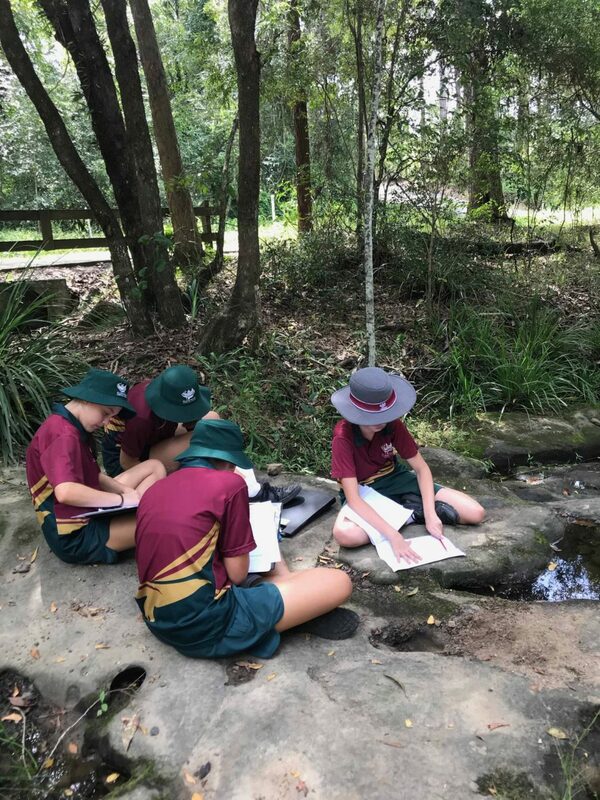 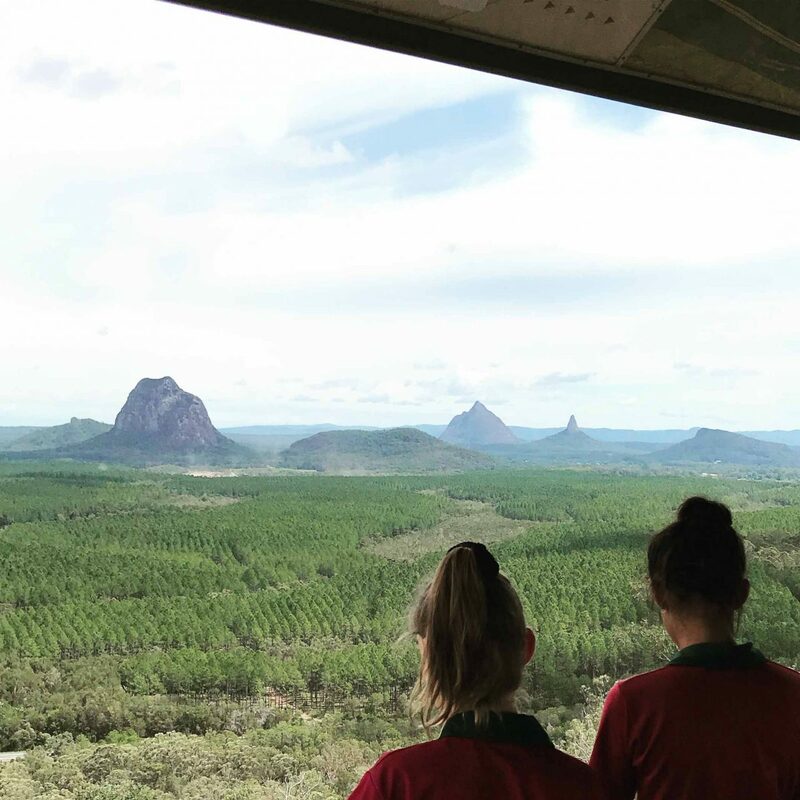 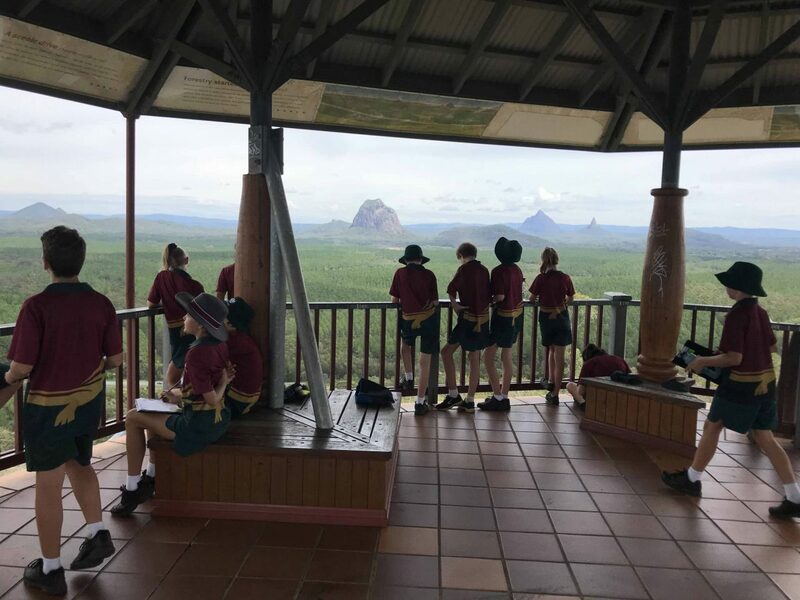 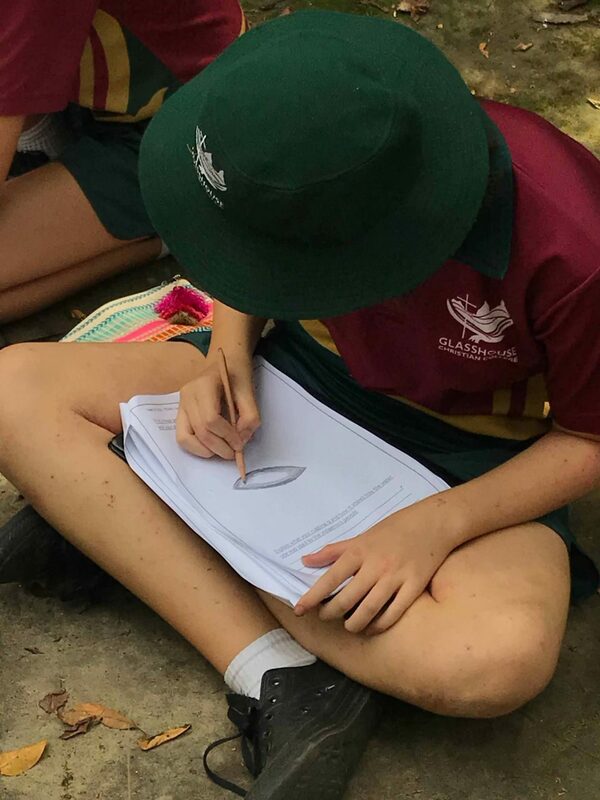 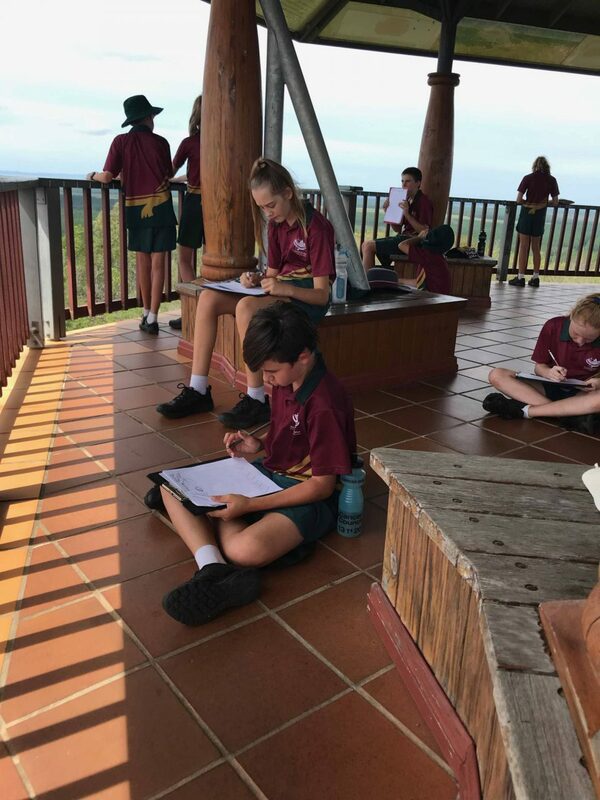 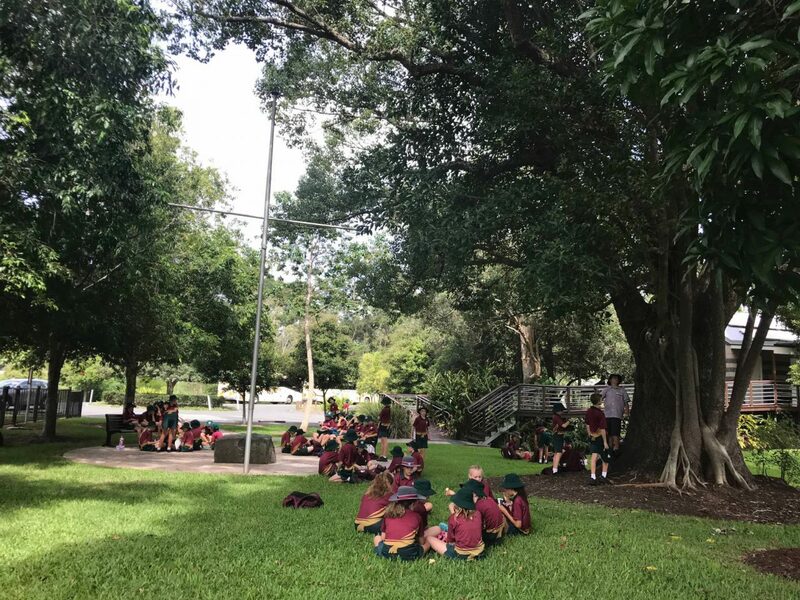 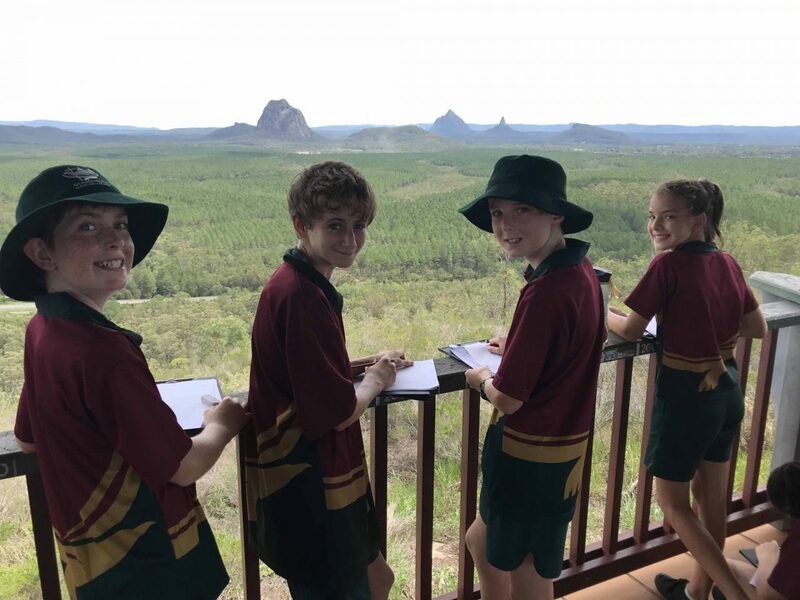 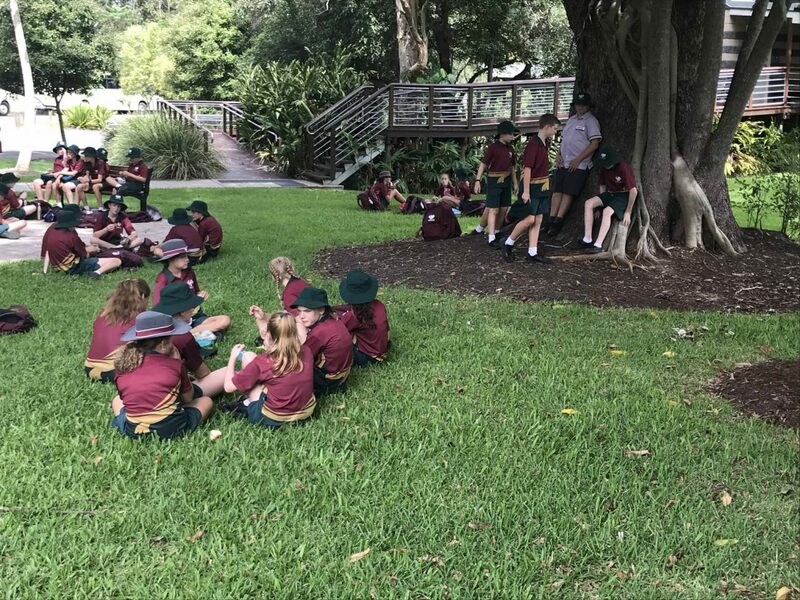 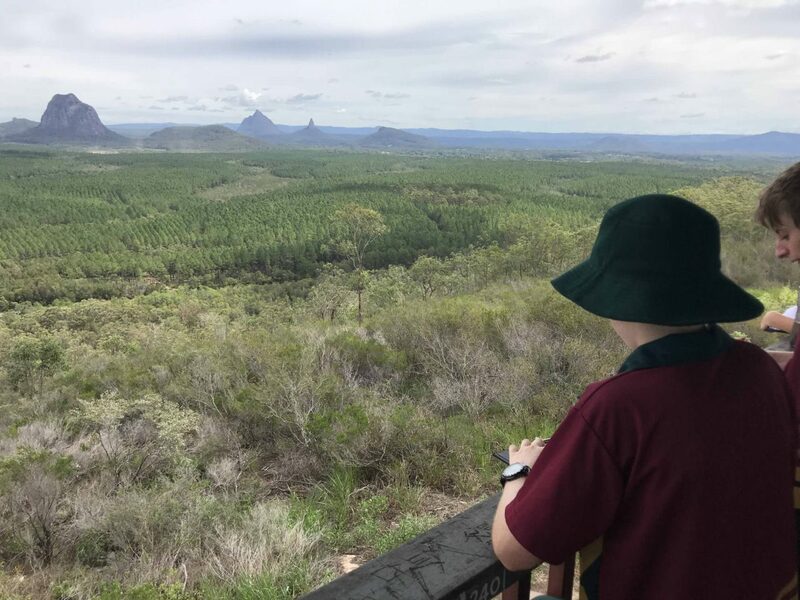 We enjoyed lunch together at Settler’s park at Glasshouse Mountains township and then returned to school to finish the work booklets. 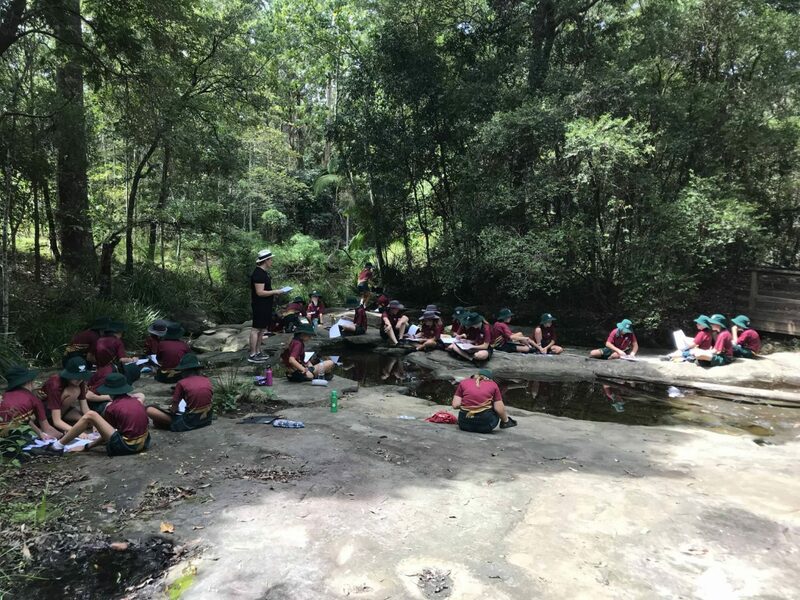 A special thanks to the Kings for giving their time and for allowing us to wander around their farm analysing their dams and their use of water. 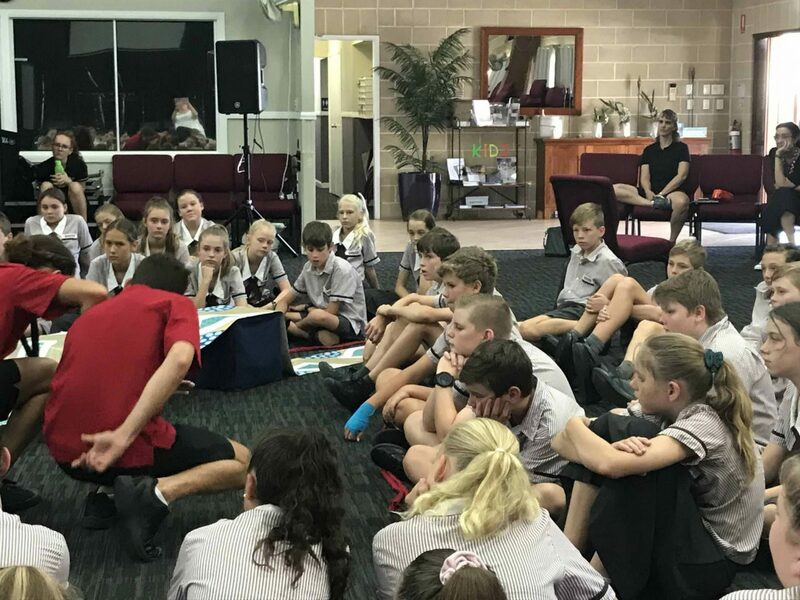 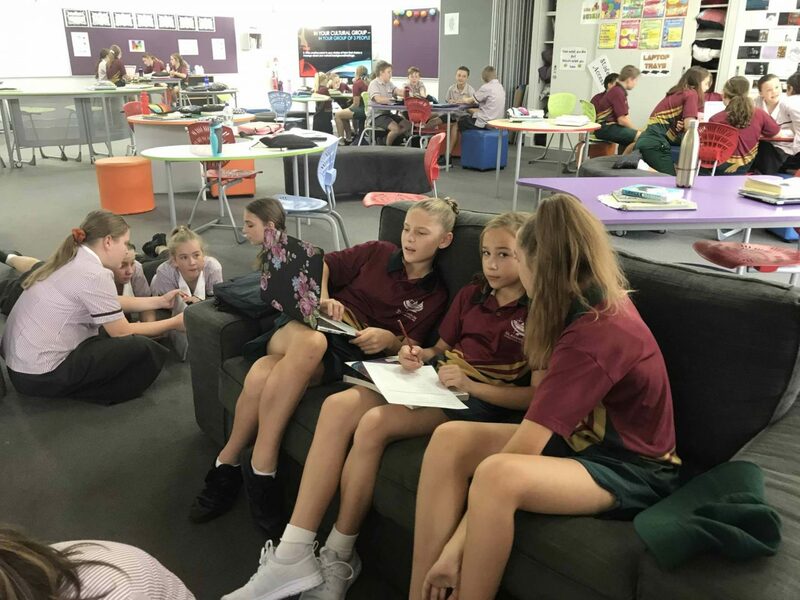 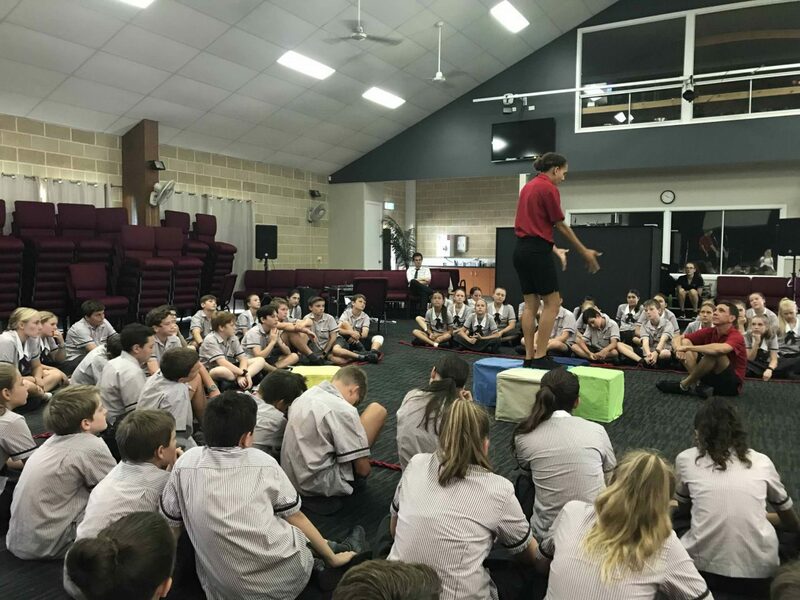 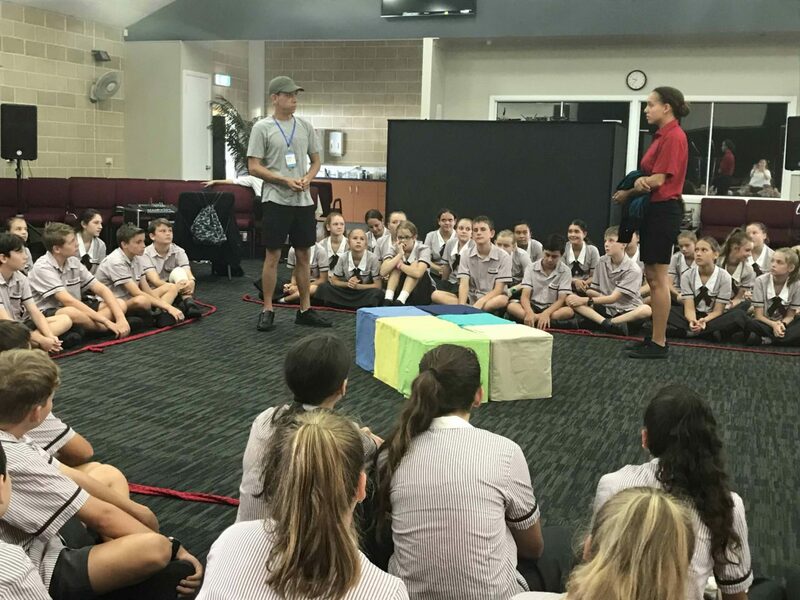 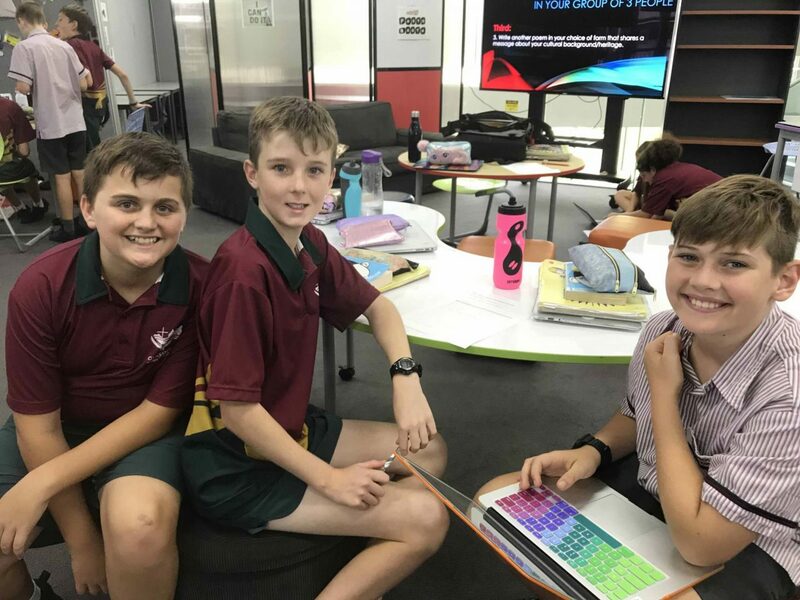 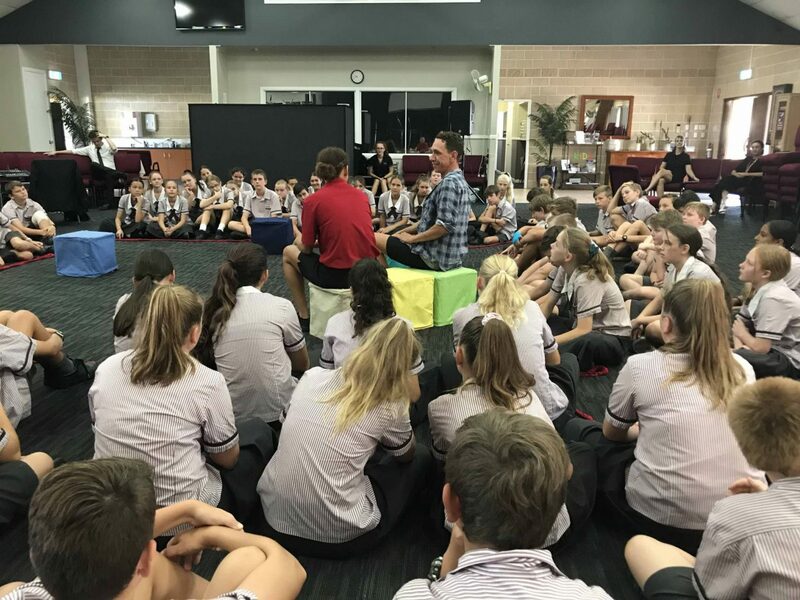 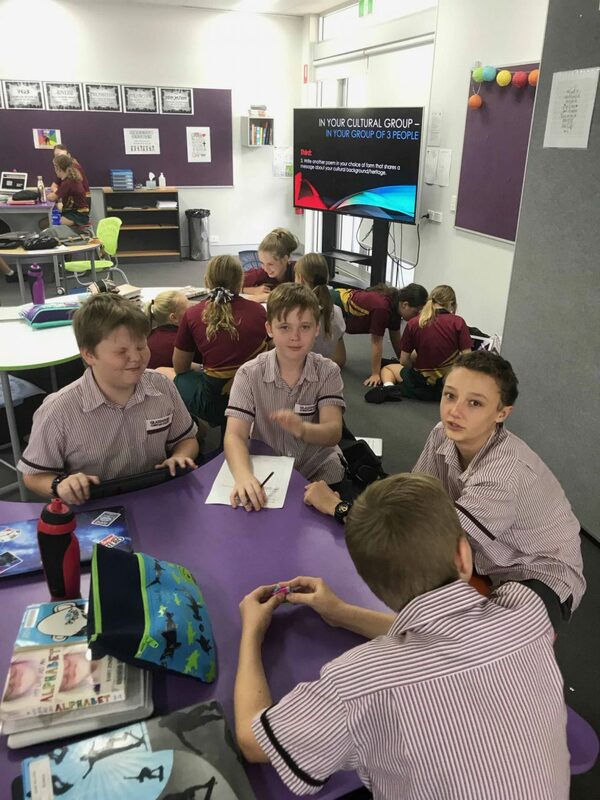 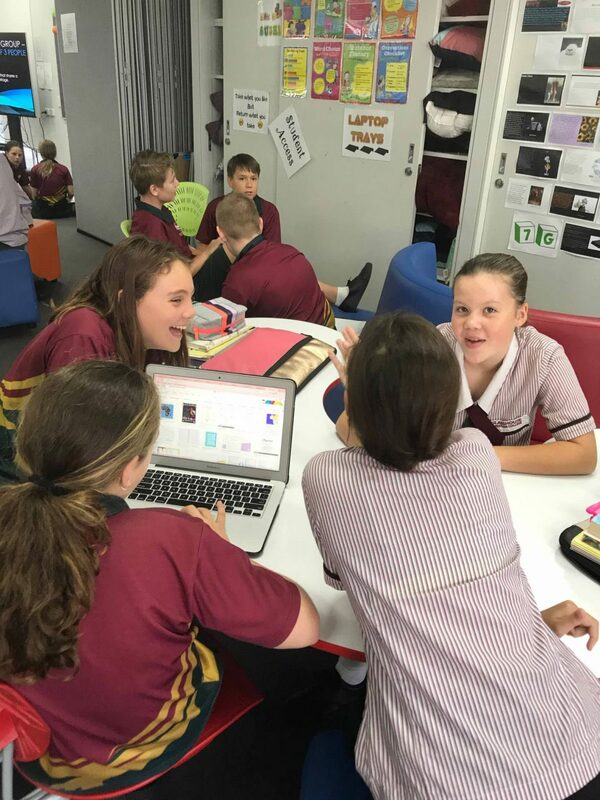 This term is always so full for Year 7 as they settle into Middle School and we always enjoy getting to know our students and finding out about their stories by doing these fun learning activities with them. 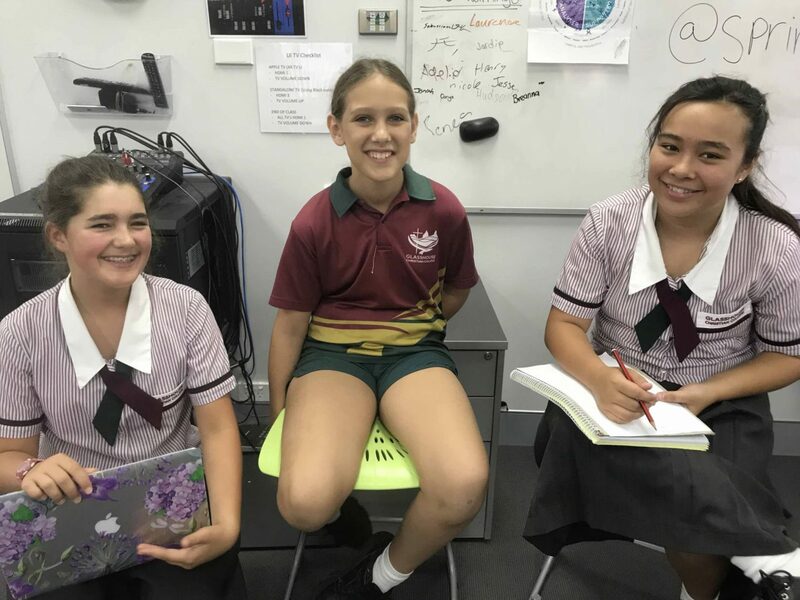 This entry was posted in Middle School News and tagged Geography Excursion, Harmony Day on March 28, 2019 by sandy.